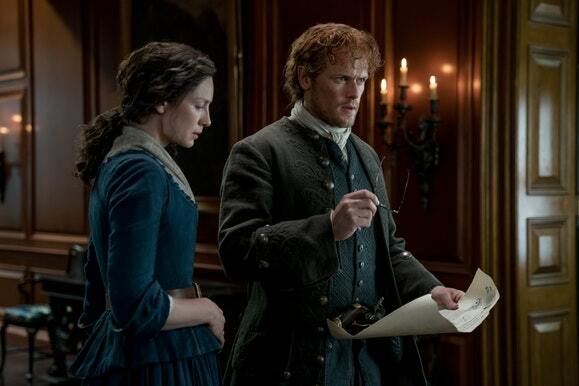 We’re back with another edition of Outlander notes, and this weekend we’ve got a couple different highlights — one pertains to the series in some form, whereas the other revolves around the cast. We like to think that both are fun in their own way. Related Outlander video – Be sure to check out other updates in regards to season 5 below! Meanwhile, remember to subscribe to CarterMatt on YouTube for more insight, and be sure to check out our official Outlander playlist. First and foremost, let’s talk some behind-the-scenes work! If you are looking to take part in a traineeship on the show in some shape or form, there’s a new application that you can check out over at the link here. The deadlines for applications are coming up soon, so if you’re eligible to work in the UK and are interested in production, you better strike while the iron is hot! There are also some other interesting dates in here that should give you somewhat of a sense as to the season 5 filming window — work on many of these gigs is running from March until November, and that may be a good approximation of when production is taking place. One of the show’s cast members said last year that filming would start in February, but that was long ago and it may have been an approximation. Within the next month/month and a half, it does feel fairly clear that the cast and crew will start descending on Scotland once more. We know that the Droughtlander is long, but at least we’ve got a lot of stuff to start looking forward to soon! Also, take a look at Caitriona Balfe’s response to his post on Twitter — it’s hilarious, much in the way that many interactions between the two are. This is why Outlander is such a fantastic set — the leads often set the tone and here, they are doing that with positive energy and fun. They also know how to get down to serious work when it is required.